Vision boards are effective in helping you reach your goals because they help you to start envisioning the future that you want for yourself. Hosting a vision board party makes the creation of your vision board a group activity where you can let your hair down, chat with friends and make long-lasting connections. My favorite thing about vision board parties, though, is not the food or the wine (gasp! ), it's the sharing of success stories and ideas that occur between guests as they share their goals for the year. I have tips for days when it comes to this whole vision boarding thing and there's certainly a way to create an unforgettable experience for your guests. Here are my top vision board party planning tips. Just like any party, the most important element is the people in the room! Interaction between the guests you invite is what makes all the difference between an epic party where people met new besties and that awkward party of wall flowers where everyone is silently working on their boards and you can hear a pin drop. To start, you want to invite people with diverse backgrounds. For example, don’t just invite all your entrepreneur or side hustler friends, invite your friends that are students, corporate queens and do-gooders holding it down at a nonprofit. This will ensure that the ideas shared are met from different perspectives around the table - not just head nods and repeat strategies. New ideas always leads to additional conversation and that's the best thing you could have at your event - engaged guests. Also, don't be afraid to invite people from different age groups. While more experienced + seasoned friends can give you words of wisdom, younger friends will bring a breath of optimism and lighthearted naivete that only the youth can offer. Finally, invite your friends who are happy to share information with others. If you have those friends that don't want to tell anyone what they're doing or how they've achieved their goals - they might not be right for this kind of event. Having an abundance of givers (rather than takers) will ensure that everyone can benefit from others in the room - and that the conversation keeps flowing. I truly do believe that it really doesn't matter what you eat at a vision board party. At our first vision board party, we had barbecue chicken - no dessert, no sides (the other attendees forgot to bring a dish) and we still had an amazing time laughing and swapping battle stories. Pro Tip: Don't try to be cute and put the wine on a expertly-designed pinterest-ready table on the other side of the room - put it right in the middle of the table that you're creating your vision board on. If the wine is close by, no one has to get up. They can stay engaged without skipping a beat. Just sit back and let the magic happen. You can find the materials you need to build your vision board pretty much anywhere. I think it's crazy how the most simple things in life can create a massive change for you, if you use it the right way. 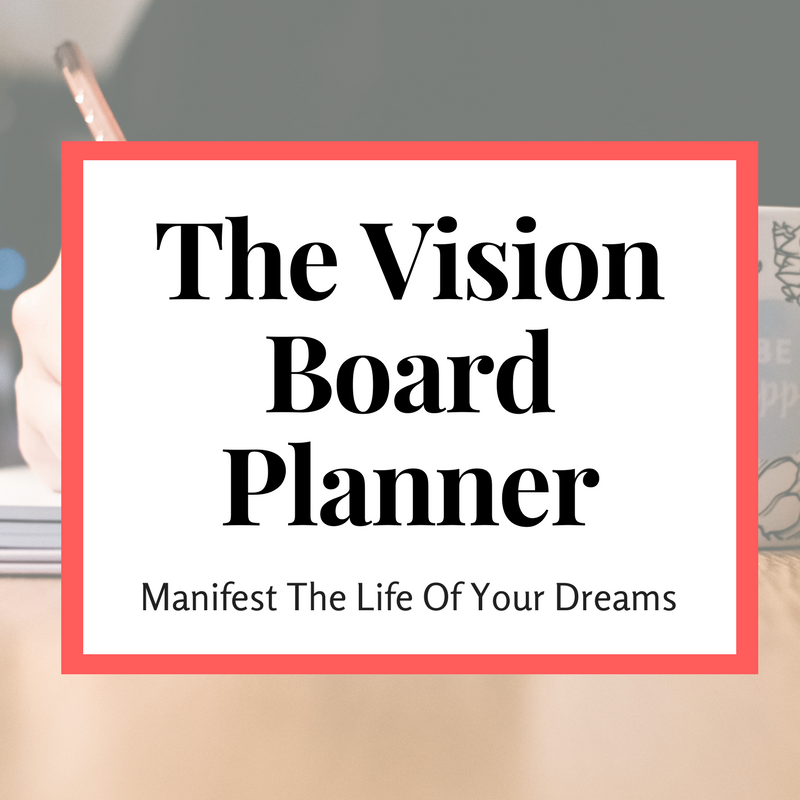 To build your vision board, you'll need to decide the foundation you're going to build it on. I like to hang my vision board on the wall throughout the year so I use a cork board with thumbtacks (this also caters to my frugal side because I re-use that same cork board every year - going on three years strong). A cheaper way to create your vision board is to simply get a poster board, scissors and glue. You could also glue your vision to the inside of a journal to inspire you as you write in it. Then, you'll need to get magazines, but not just any old magazines. I like to be strategic about the type of magazines I look through when building my vision boards (because some definitely are better than others when it comes to over-the-top quotes and boss images. With the right people, the right drinks (and food) and the right materials you're well on your way to creating a vision board party to remember! Grab the party planning checklist I use to plan easy breezy (and totally unforgettable) vision board parties for my fav ladies! Enter your name + email to subscribe to the newsletter and grab the freebie!